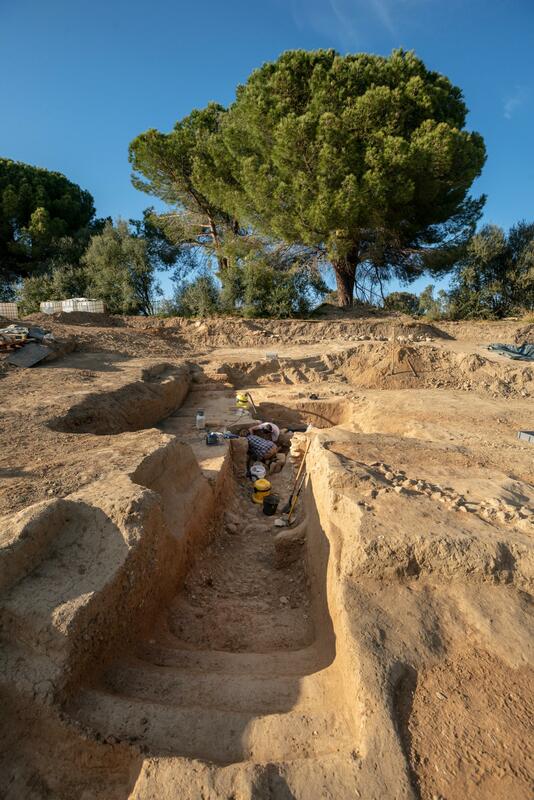 Archaeologists from France’s National Institute for Preventive Archaeological Research (INRAP) have discovered a high-ranking Etruscan grave in Aleria, Corsica. Dating to the 4th century B.C., the grave was dug out of the rock in a hypogeum (an underground chamber), a type of burial exclusively reserved for the elite of Etruscan society. The entrance to the tomb is accessed by a corridor 20 feet long. A flight of steps lead to the corridor. Excavators found the tomb chamber six and a half feet under the surface still intact and sealed by a thick layer of clay, pebbles, coal and potsherds. 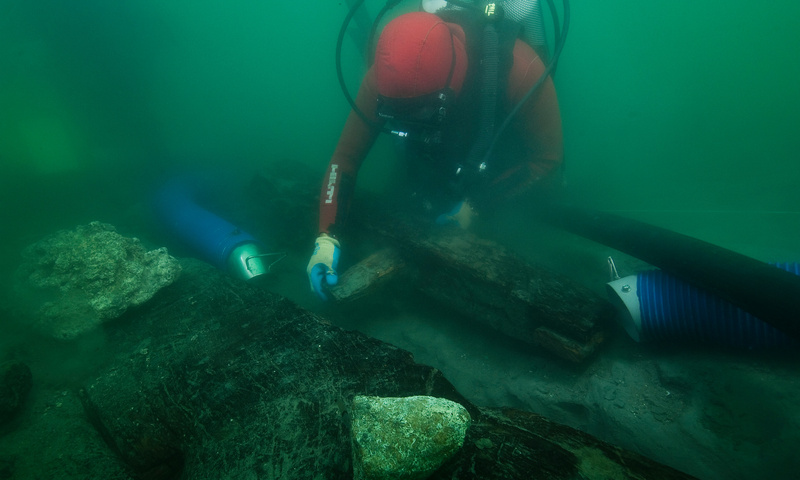 It appears the seal was opened and closed several times, likely to make fresh offerings or inter the newly deceased. The ceiling of the tomb had collapsed and the interior was filled with earth so archaeologists had to dig from the top down. 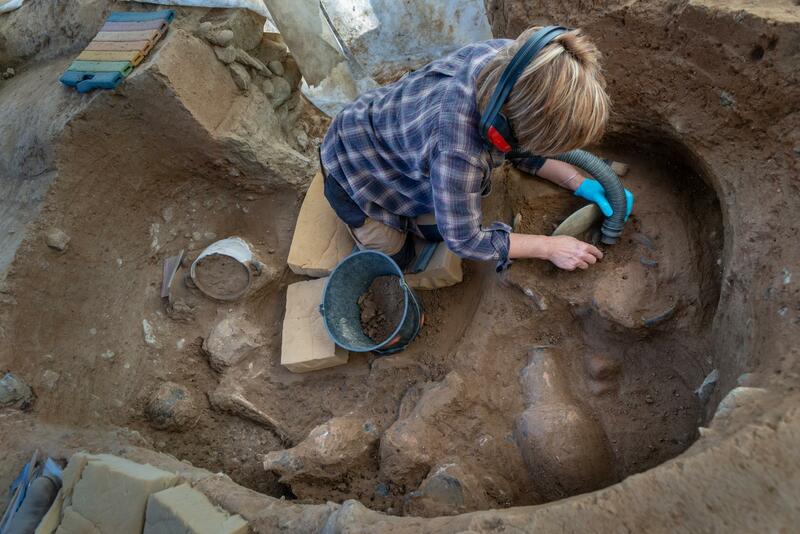 The excavation revealed a rectangular chamber 11 square feet in area containing pottery, bronze objects and a mirror. 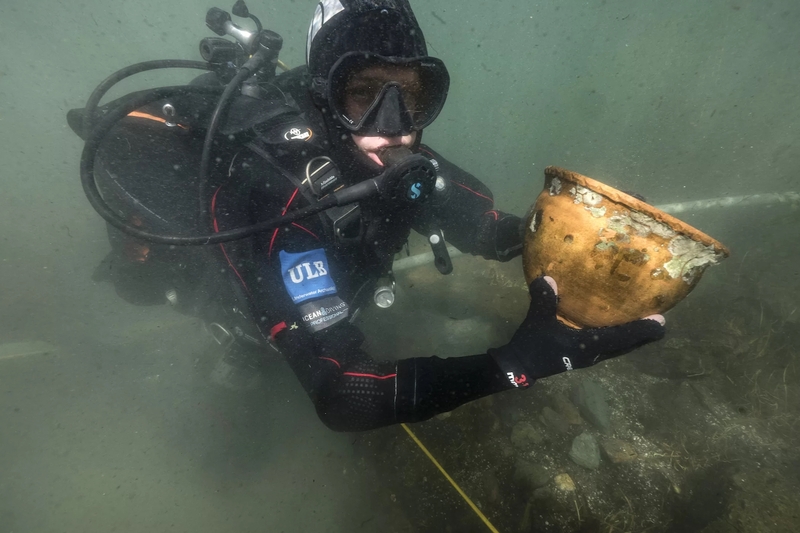 Three black-lacquered drinking vessels and two skyphoi (a wide two-handled cup) were found near a skull. This is as far down as archaeologists have gotten, even with the lowest step of the staircase. 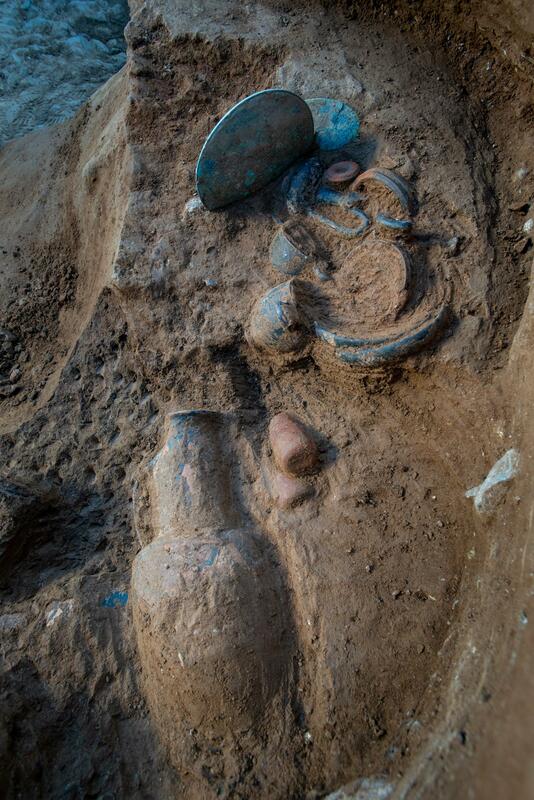 Any other human remains and grave goods are still pinned down under the collapsed material. Forensic specialists will aid in this final excavation phase. The tomb is part of a large necropolis with thousands of graves that was used in Etruscan and Roman times. Its existence was known and more than 100 graves were excavated by archaeologist Jean Jehasse in the 1960s, but the land is privately owned and slated for development which is why INRAP was given access in the first place. 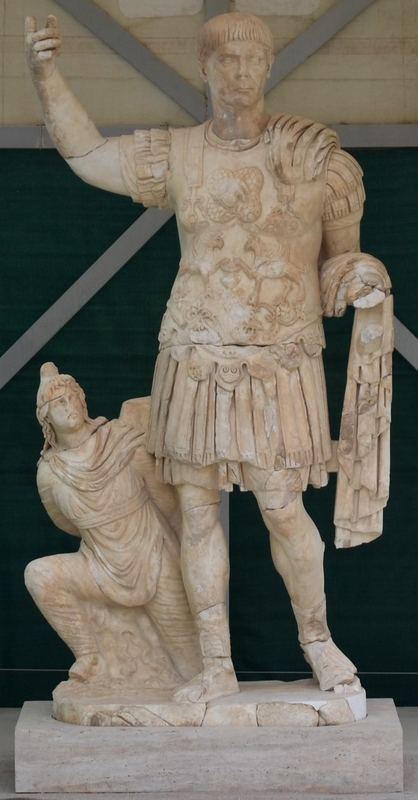 When the hypogeum tomb was discovered, its rarity and significance spurred authorities to order extended excavations. An example of a chamber tomb with a corridor entryway hasn’t been found in France for more than four decades. 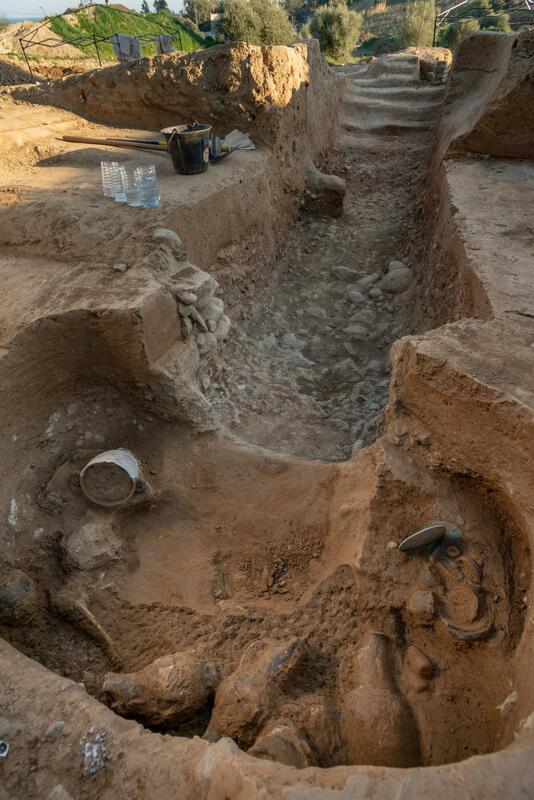 A number of different grave types have been unearthed in the dig ranging in date from the 3rd century B.C. 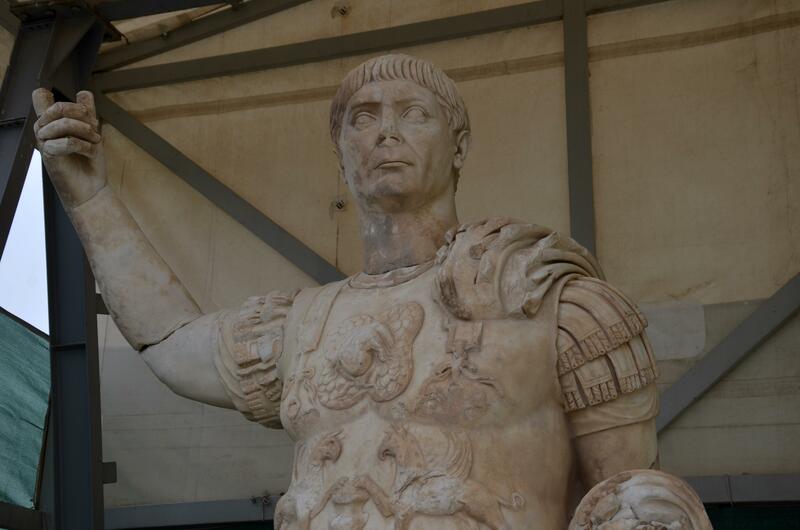 to the 3rd century A.D. 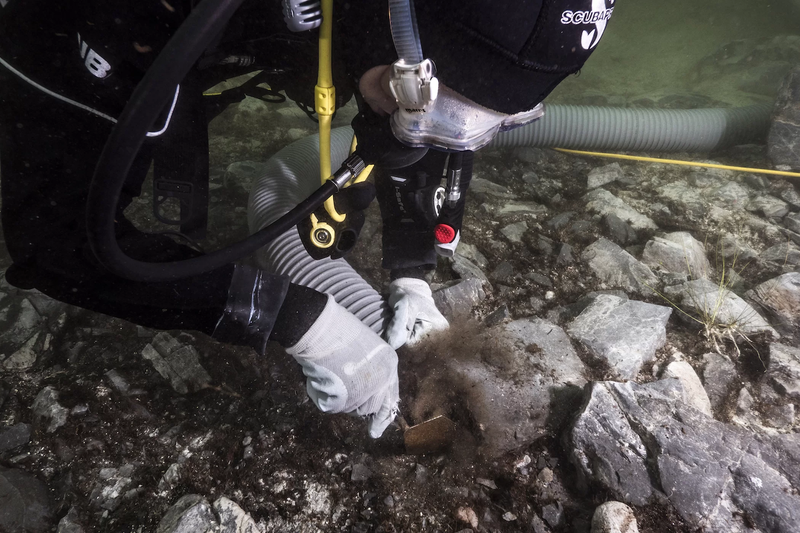 Archaeologists have found funeral pyres, pit burials, one with a tegula and imbrex (fired clay roof tiles) cover, masonry and wood formwork graves and more than 200 funerary offerings including 100 intact vases. 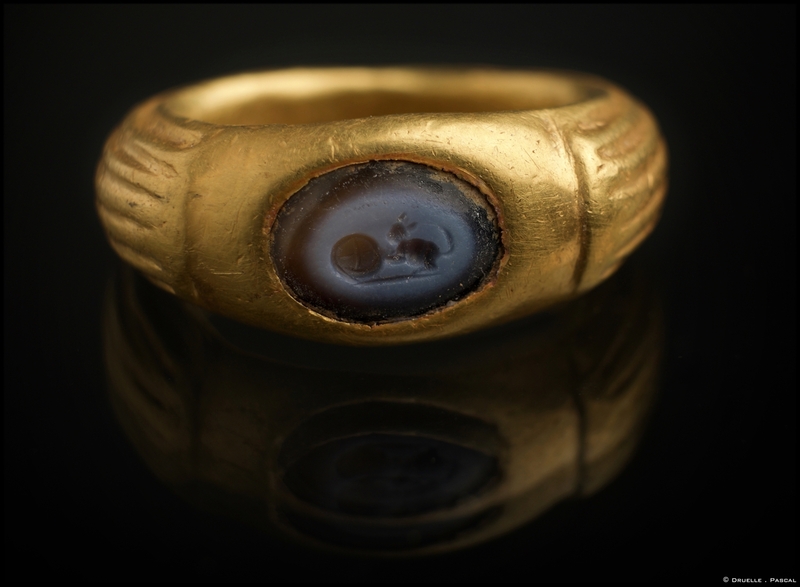 Several stand-out pieces of jewelry were in the graves: a gold signet ring with a female face, a gold ring with an intarsio gemstone engraved with a seriously adorable tiny animal (possibly a squirrel) playing with a large ball discovered on the pubic bone of a burial dating to the 1st-3rd century A.D., and a pair of gold earrings festooned with stars found at the feet of an individual buried in a brick grave. 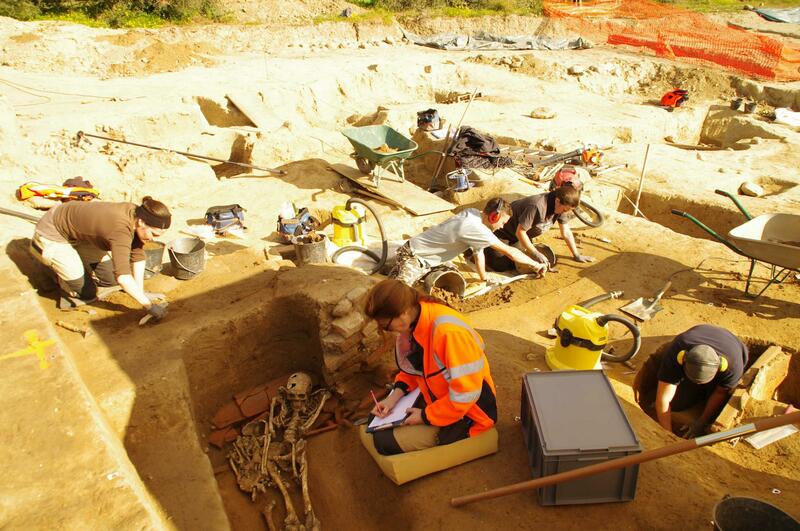 The skeletal remains that have been unearthed thus far are in unexpectedly good condition. Corsica’s highly acidic soil usually causes bones to disintegrate over time, but complete articulated skeletons have been discovered here. 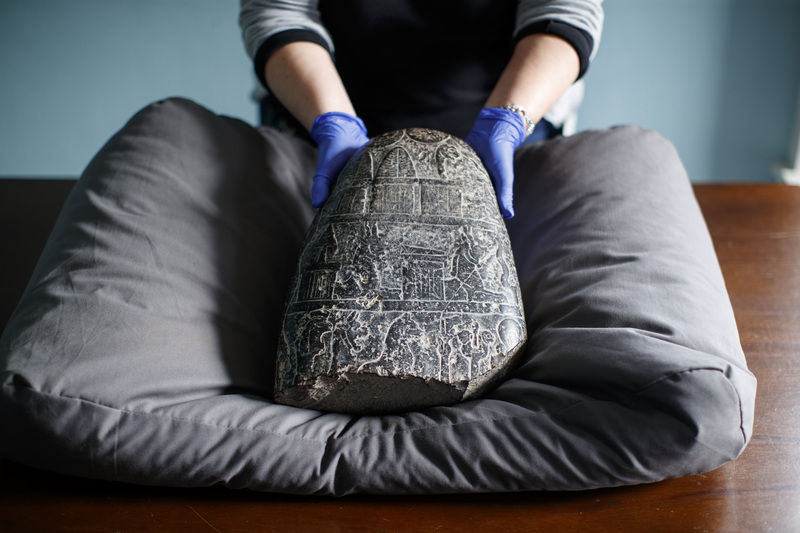 A 3,000-year-old boundary stone from Babylonia was returned to Iraq in an official ceremony on Tuesday after seven years of investigation and legal wrangling. It’s not clear when the object was stolen — experts believe it was looted during the chaos of the Iraq War around 15 years ago. It surfaced in 2012 when the importer attempted to smuggle the piece into Britain with fake paperwork. The stone arrived at Heathrow airport in May 2012. The customs declaration claimed it was a carved stone made in Turkey worth $330. 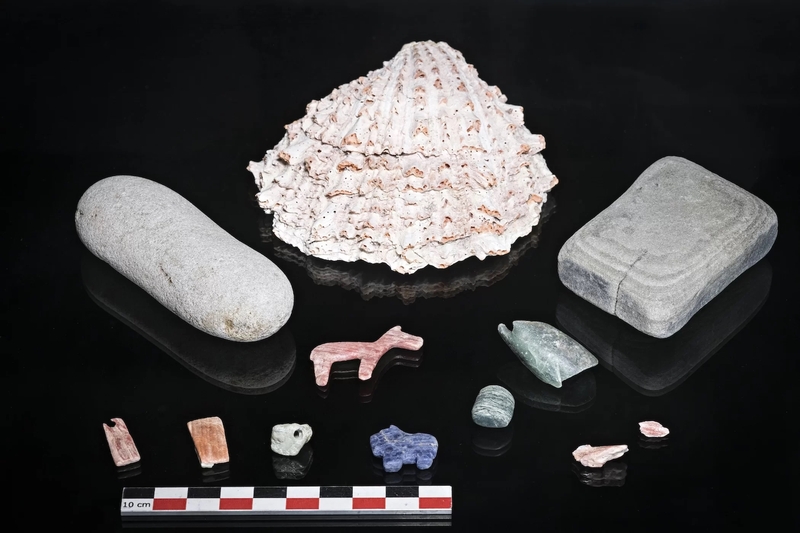 When a UK Border Force officer opened the box, he recognized the stone was no Turkish fake and that the claimed origin in the declaration had to be fraudulent. 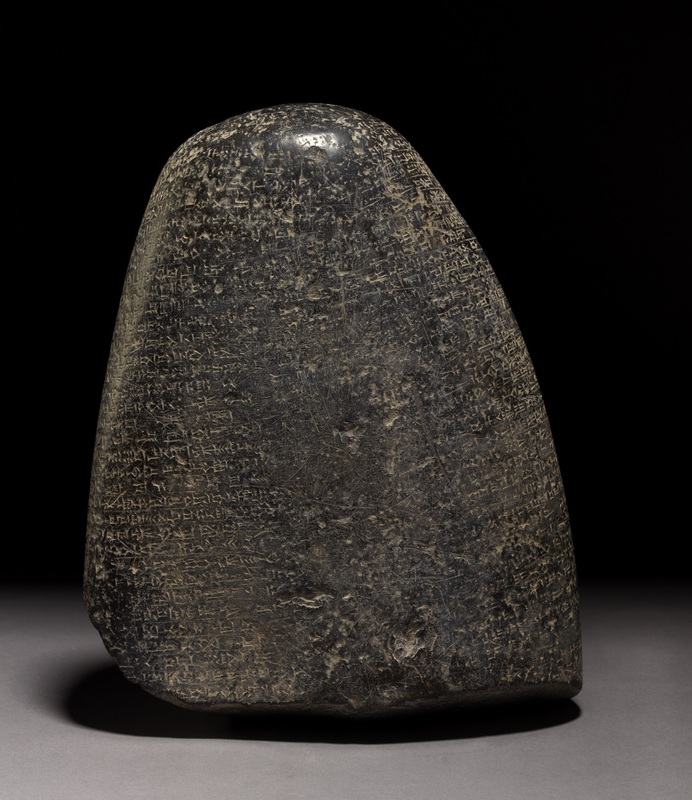 Experts at the British Museum quickly identified it from the copious cuneiform inscriptions as a 12th century B.C. kudurru, a ceremonial boundary stone recording a land grant from the king. There are only 200 known surviving examples of kudurrus, and this one is a stand-out. It describes a gift of land from Babylonian king Nebuchadnezzar I to one of his subjects in recognition of his distinguished service. The inscription indicates the stone came from Nippur, an ancient Sumerian city in what is now southern Iraq that was restored and expanded by Babylonian monarchs. Nippur suffered extensive looting in 2003 which is when experts believe the kudurru was stolen. 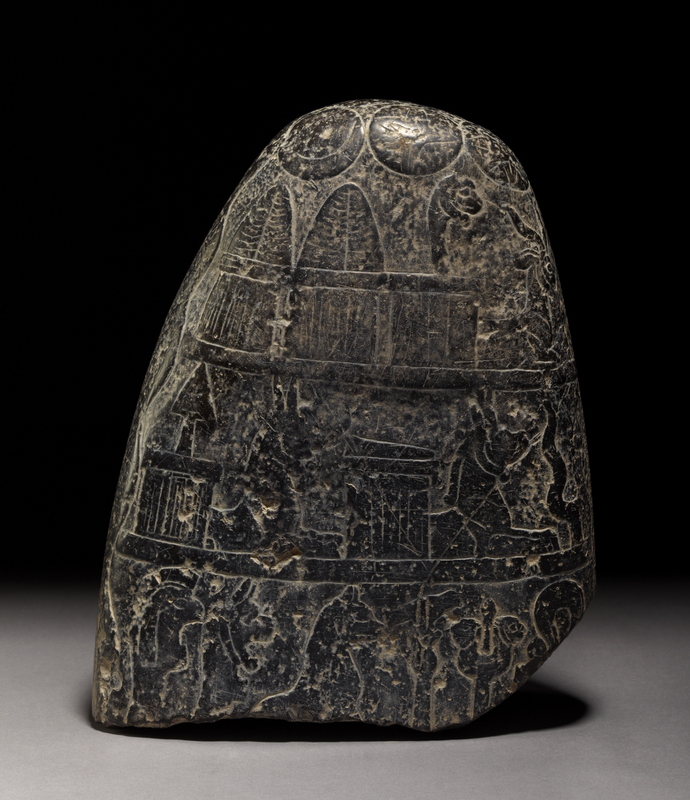 One side of the stone is covered in images depicting the gods Enlil and Marduk. The other side is inscribed with cuneiform text. In addition to recording the land grant, the text describes an enormously significant period of Babylonian history. It tells of how at the end of the preceding dynasty, Elamite forces had invaded the kingdom, looted the temples and carried away the statue of the god Marduk leaving Babylon bereft not just of the visual representation of the god, but of the protection of the god himself. Enlil, father of the gods, created Nebuchadnezzar to avenge the outrage done to the Babylonians. The great king invaded Elam, defeated its army and reclaimed the statue of Marduk. He returned it to the temple and all was right with the world again. [British Museum curator Jonathan] Taylor said the object also carried “terrible curses” for anyone trying to claim the land or damage the tablet. A new study has revealed that the practice of burying butter in bogs goes back even further in Irish history than we knew. Previous analyses found that bog butters are made from animal fat, but because being buried in peat for a few thousand years can have mineralizing effects on organic matter. Some early studies concluded that it was adipocere, ie, tissue fat converted into a waxy substance in anaerobic condition, because the saturated fats in its chemical composition more closely matches those in adipocere (see this massive 77-lb stick). than in butter fat. Both theories got support in 2004 when a stable carbon isotope analysis of nine bog butters proved that six of them were the product of ruminant dairy and three from tallow, the carcass fat of ruminants. The 2004 study looked at Scottish bog butter. The most recent study had a wider sample pool — 32 butters, and they are all Irish. 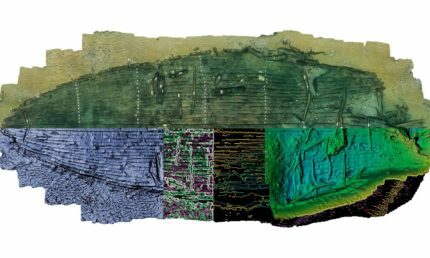 The researchers also radiocarbon dated all of them to see if similar processes produced Irish and Scottish bog butters and if they could spot any trends over time. Of the 32 samples, the chemical composition of 26 of them identified them as ruminant dairy fat and another three were found to be likely from a dairy source. The remaining three samples could not be precisely classified. The radiocarbon dating results had a nice surprise. 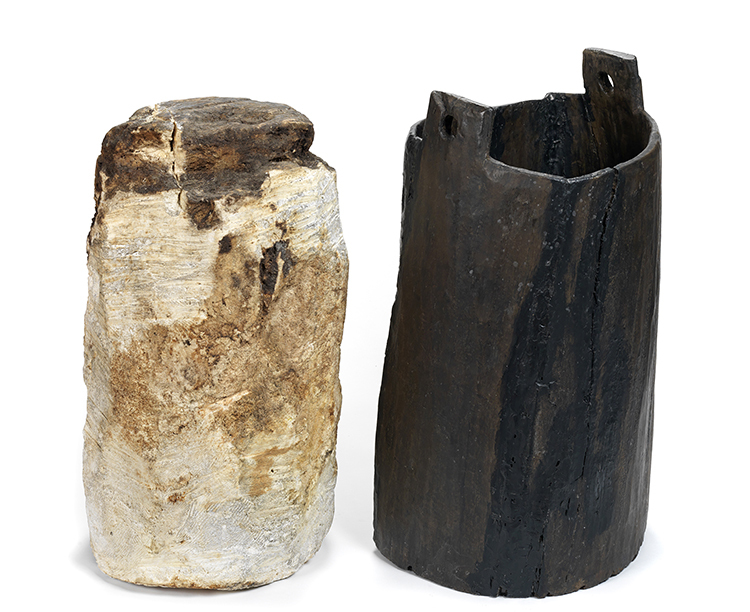 A sample of bog butter from Knockdrin was found to date from between 1745 and 1635 B.C. 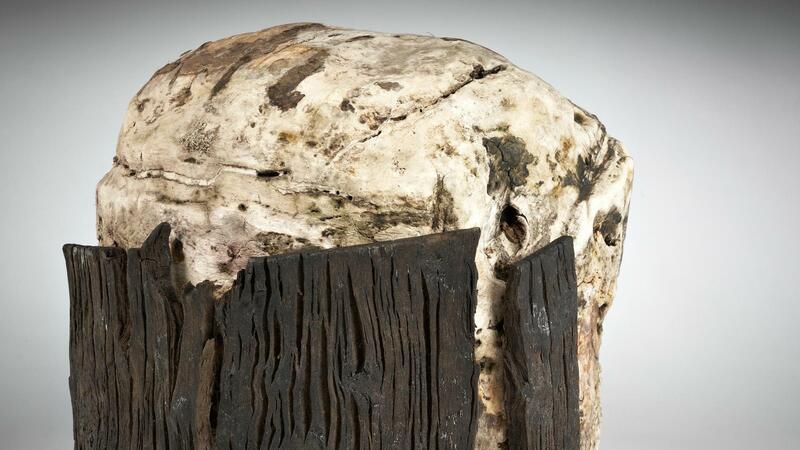 “We have known for a long time that bog butter was some sort of animal fat. However, compound-specific stable isotope analysis of the fatty acids in the degraded bog butters is the only way to identify the true origins of the fat – whether it was a milk fat like butter, or a carcass fat like tallow or lard.” said Professor Richard Evershed from the University of Bristol. 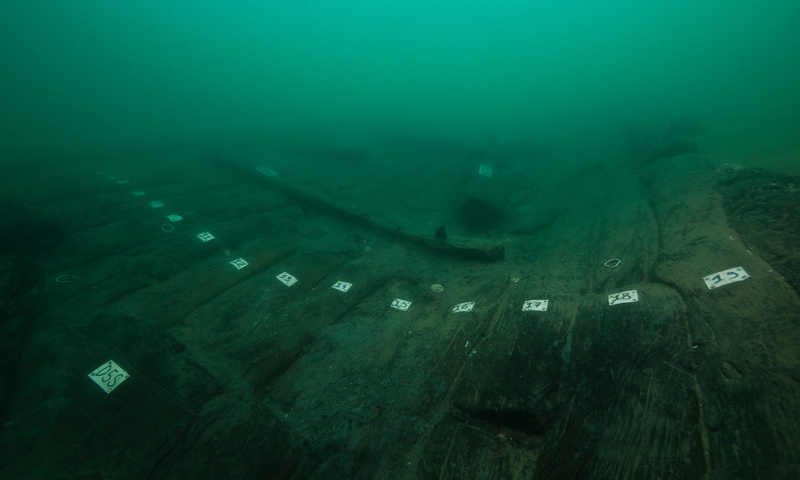 “Combining this analysis with radiocarbon dating, we obtain unparalleled insight into an extremely long-lived activity,” said UCD’s Dr Smyth. 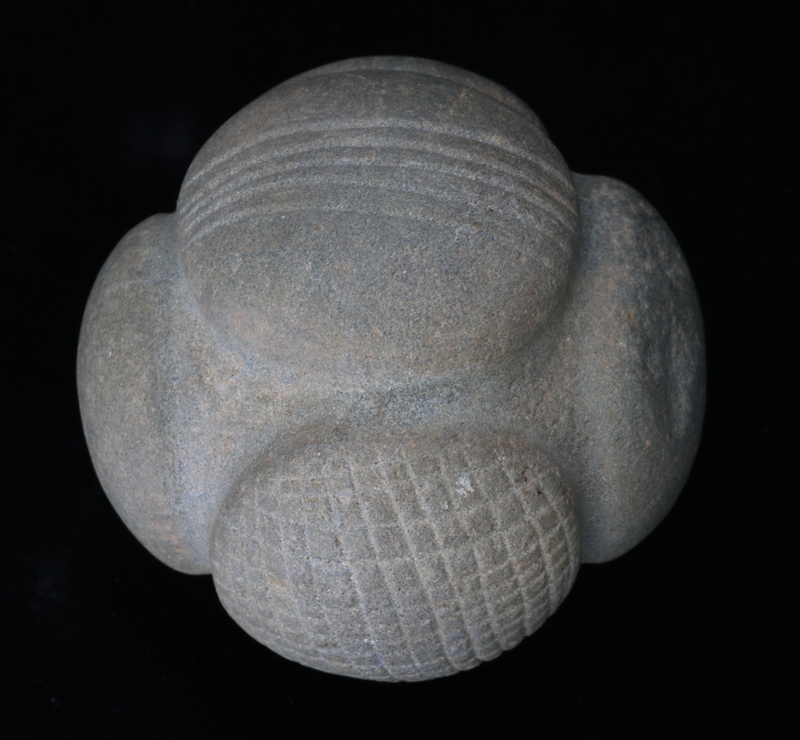 An intricately carved Neolithic stone ball discovered in the Ochil Hills near Sherriffmuir in Perthshire, central Scotland, will stay in its native soil after a fundraising campaign secured it for the Perth Museum and Art Gallery. 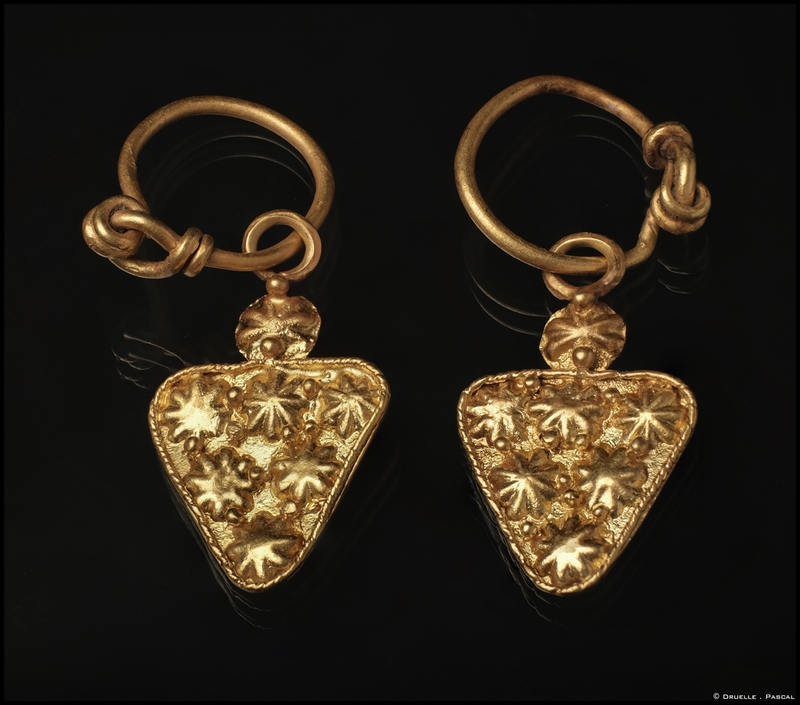 The 4,000-year-old stone was declared Treasure Trove according to Scottish law and allocated to the Perth Museum, but because budget cuts have slashed its acquisitions budget, the museum had to raise money to secure it. The Perthshire Society of Natural Science opened an online crowd-funding campaign and was able to raise £1625 well before the March 26th deadline. A grant from the National Fund for Acquisitions chipped in matching funds. Stone balls carved in the Late Stone Age (around 3200 – 2500 BC) are a big thing in Scotland. Out of about 530 that have been found in Northern Europe, 520 of them were found in Scotland. More than a third of them are in the National Museums Scotland in Edinburgh. That the Sheriffmuir Ball will remain local is all the more significant because it is one of fewer than 50 of the known Neolithic balls to have decorative carving and it’s a particularly elaborate one. It’s also one of the most southernly balls ever found in Scotland. Since the first one was discovered 150 years ago, archaeologists have debated what the purpose of the balls might have been. None of them have been found in or near burial, so they were not used as funerary offerings or grave goods. They could have been weapons, tools or status symbols, or perhaps a combination of any of those. 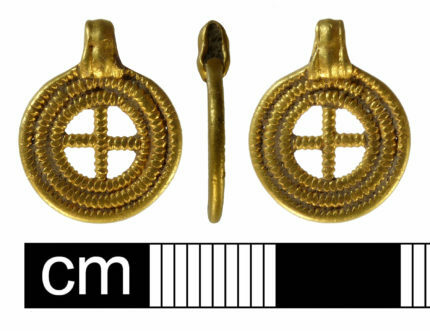 They are roughly the same size and while remaining circular in dimensions, they have been carved to have lobes or knobs. The ones that are decorated have spirals and curved carved into the surface. The Sheriffmuir Ball has a grid pattern on one lobe, five parallel lines on another and an off-center circle on a third. 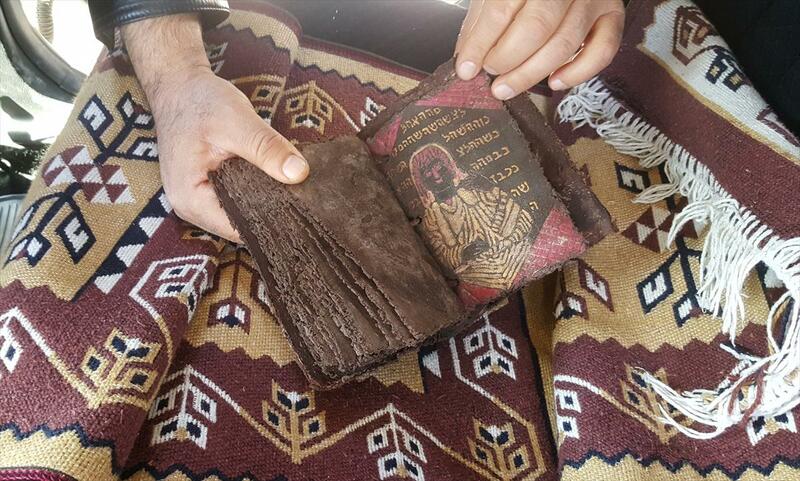 Turkish police have seized a leather manuscript believed to have been looted from Syria in an anti-smuggling operation in Kırşehir, central Turkey. 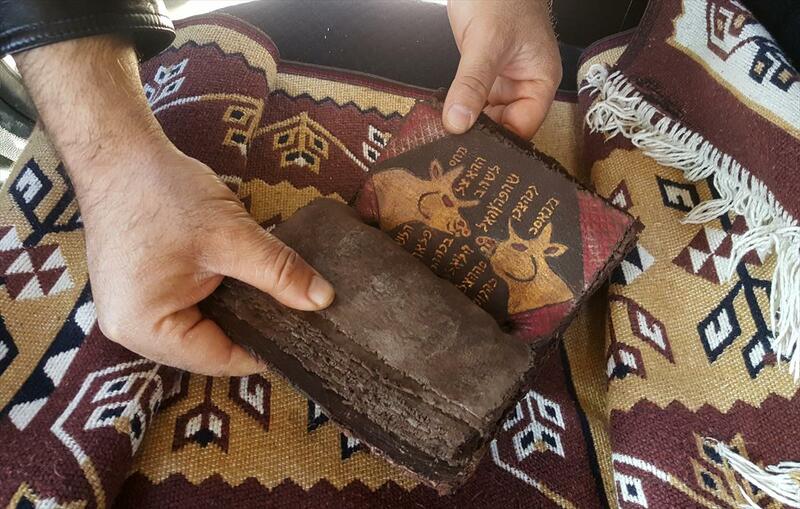 Two individuals identified only as Erkan Ş. and Kısmet G. were stopped by the Kırşehir Police Department Anti-Smuggling and Organized Crime and Anti-Narcotics Department while driving on the Ankara-Kayseri highway. Stashed on the side of the seat wrapped in a blanket was the 12-page volume. 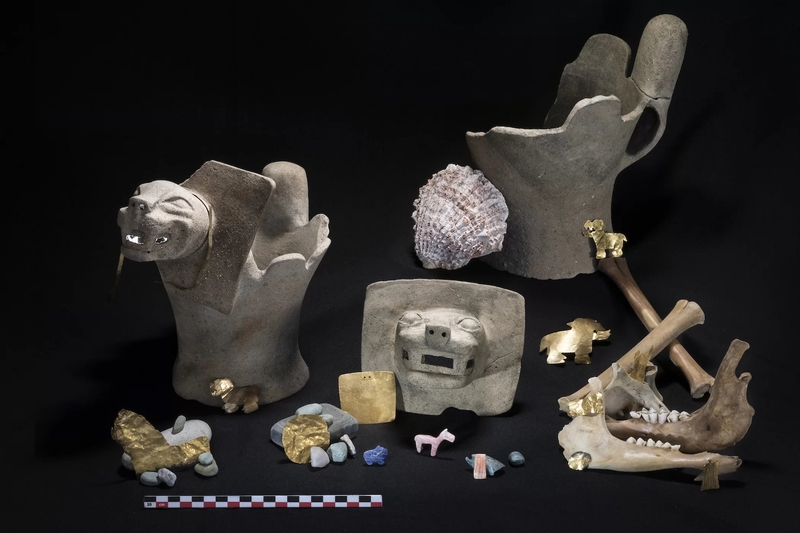 The suspects were arrested and charged with antiquities trafficking. 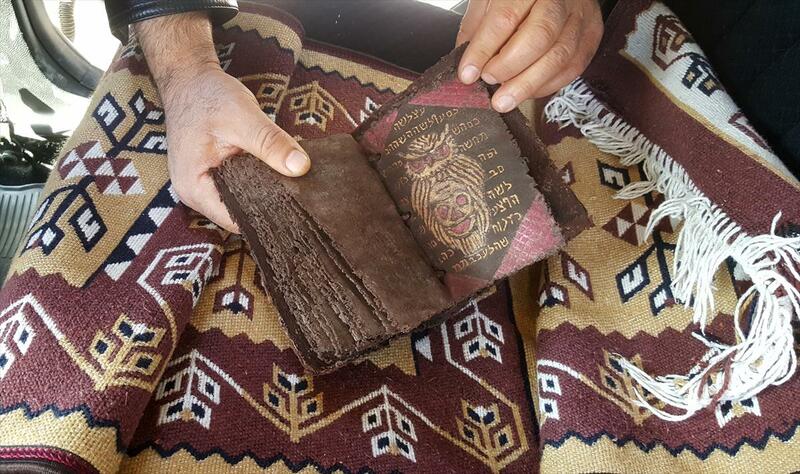 According to suspects’ testimonies to the police, they bought the manuscript in the southeastern Mardin province and were planning to sell it in Istanbul for a large sum of money. 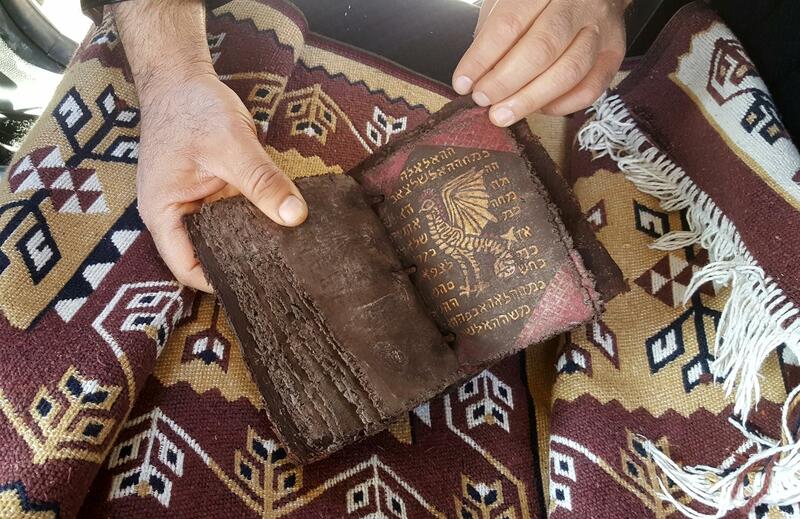 The manuscript was stolen from a museum in Syria during the conflict and was brought to Mardin illegally, the suspects said in their testimonies. That’s all the information reported so far, which is barely any information at all. It’s only post-worthy because of the illuminations. 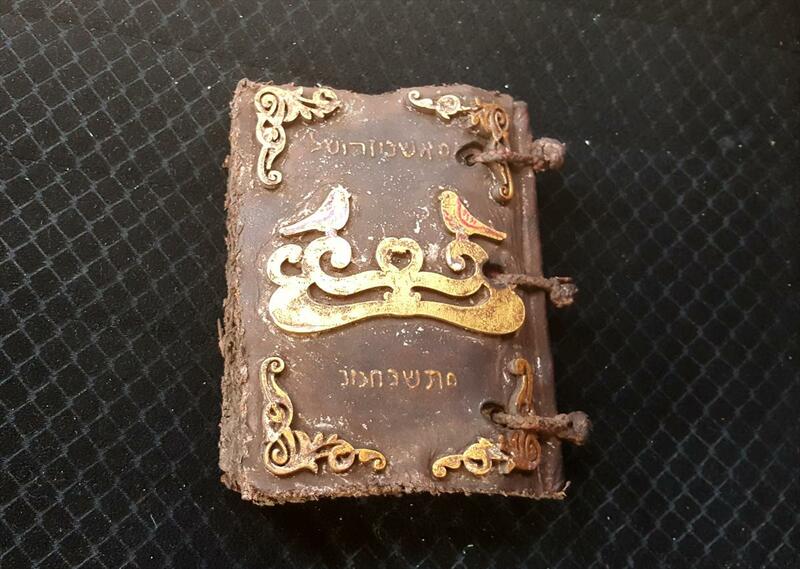 The manuscript is 16 pages long and is written in Hebrew in gold ink. 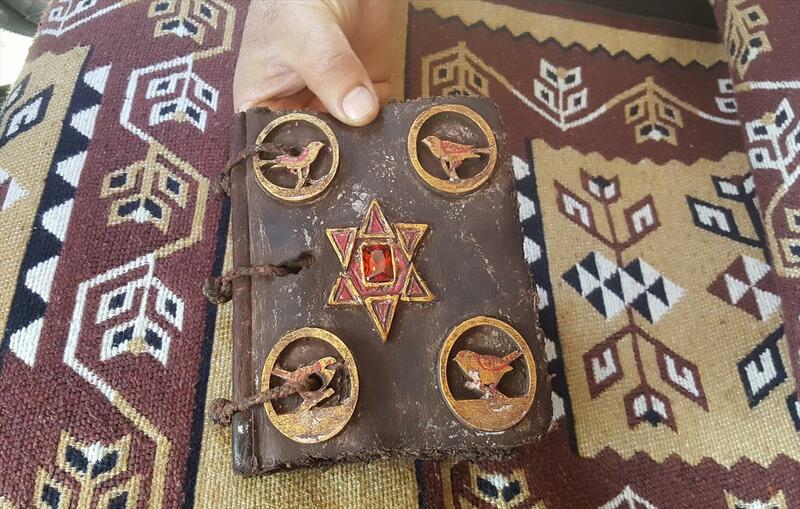 The cover has metallic accents: four birds, one in each corner, on circular perches and a Star of David with a red stone in the center hexagon in the middle of the page. Most of the sheets are illuminated with an intriguing variety of images, including a dragon or griffin, two cows looking at each other challengingly, a hamsa hand, a menorah, a Star of David, an owl with a skull on its belly and a man in draped robes. I find the iconography fascinating. The owl with a skull on its belly and the man in draped robes are particularly intriguing. The owl is listed among the abomination birds in Leviticus and in medieval Christendom it was often used to symbolize Jews as creatures of darkness because of their rejection of Christ. As for the man, the prohibition against graven images put a damper on figural depictions in Jewish art, but it didn’t prevent it entirely. There are frescoes, mosaics and manuscripts with images of Biblical figures, even ones from pagan mythology employed as metaphors. He could be a representation of a prophet or anybody else, for that matter. He does bear a resemblance to other rough drawn images of Jesus, however. If it is meant to be Christ, he and the skull-bellied owl share the volume with unambiguous symbols of Judaism, the Star of David and the menorah, and the hamsa hand, a symbol very common in albeit not exclusive to Judaism. 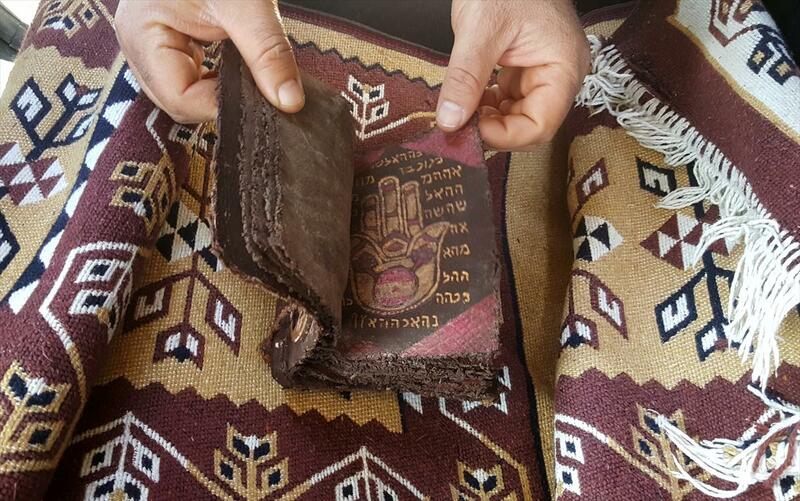 Not that I’m any kind of expert, or even a well-informed amateur, but I wonder if this be an artifact from one of the Jewish Christian communities that are known to have been in Syria in late antiquity and the early Middle Ages, like the Ebionites or Nazarenes. The manuscript has been transferred to the Kırşehir Museum Directorate which will study it and determine its origins. Here’s hoping the findings are released.